"I was very excited to run the Bank of America Chicago Marathon but my workouts haven't been good. I'm very much a guy that when I show up at the starting line, I believe everything is possible, and I go after things with my whole heart, so if I'm not ready to go, I'm not going to show up and have a performance that doesn't reflect that." - Ryan Hall announcing to Philip Hersh and the Chicago Tribune that he was pulling out of the Chicago Marathon, which takes place in 11 days (10/10/2010). 12x1 mile... does this workout make sense? What Salazar said about Webb... .? Ryan Hall. Throw away your watch. 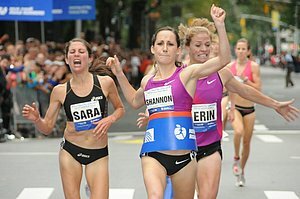 what is the longest thread that you have read every post of on letsrun? 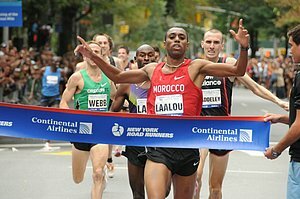 LRC Week That Was: Amine Laalou vs Bernard Lagat, Alan Webb v Nick Willis, Sara Hall, Joan Benoit, Menjo and Makau We've got it all covered. Alan Webb gave himself a C+ for his performance this weekend. We're giving our Week That was an A-.